It was lovely to see photos of the choir in the Spring 2017 addition of WM, a product of Wales Online.co.uk. 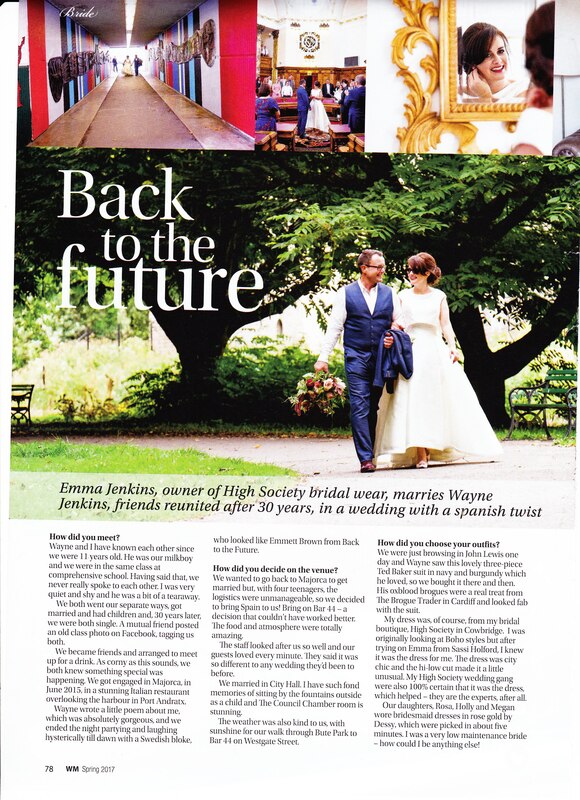 Last August the choir were privileged to be part of Emma and Wayne’s big day at City Hall, Cardiff. Emma had secretly booked the choir as a surprise for Wayne. Getting ready with my daughter, step daughters and sister was really special; along with having my 15 year old son Hari walk me down the aisle to the sound of Cardiff’s Welsh Male Voice Choir and then seeing Wayne’s face, surrounded by our wonderful family and friends. 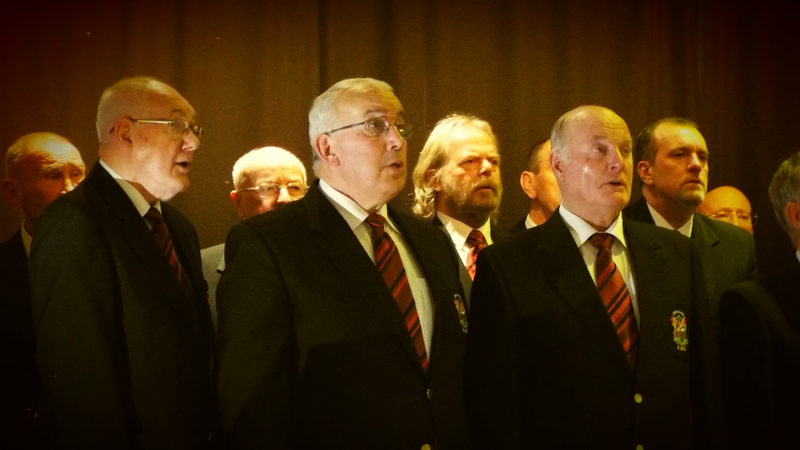 Wayne is such a proud Welshman and rugby nut that I knew my surprise of booking Cardiff’s Welsh Male Voice Choir would be the perfect gift for him – and they were simply brilliant. The choir would like to wish Emma and Wayne all the happiness in the world. Why not contact us if you would like Cardiff Male Choir to add that special touch to your big day? 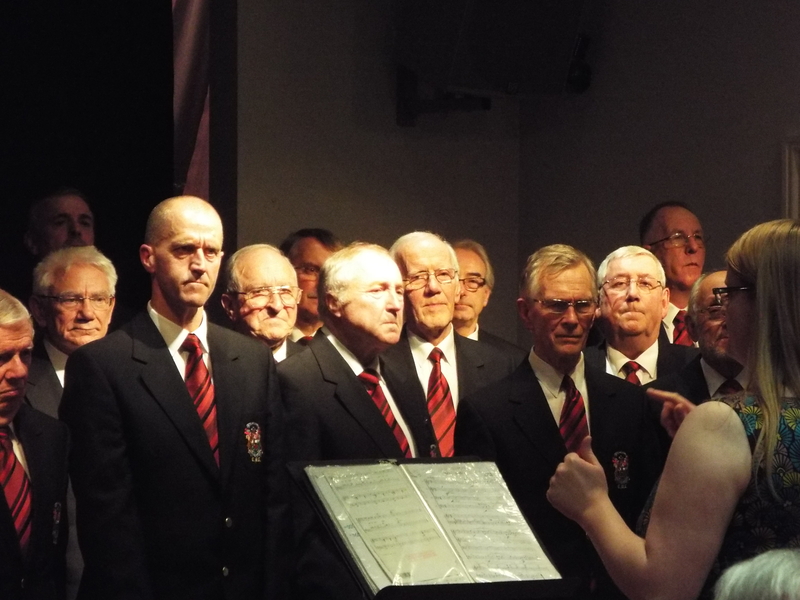 This March, Cardiff Male Choir entertained at Penllyn Village hall for a third year, helping to fundraise for village playground equipment. Please see the write up below for the village newsletter. 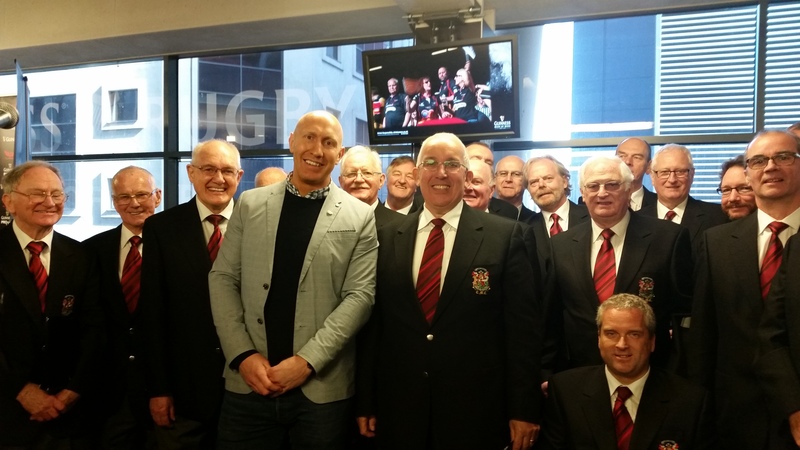 Cardiff Male Choir helped add some Welsh flavour to another rugby fixture during the Six Nations Championship. 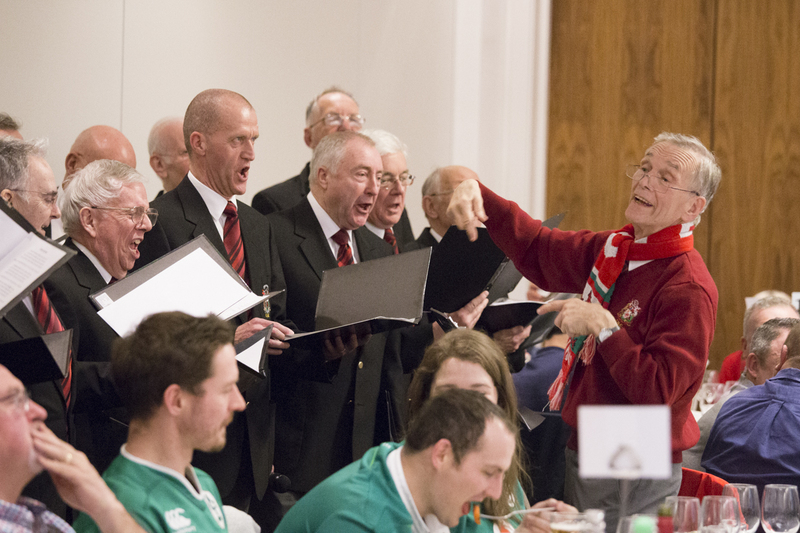 The choir entertained at the Radisson Blu hotel on Friday the 10th of March to Welsh and Irish fans. 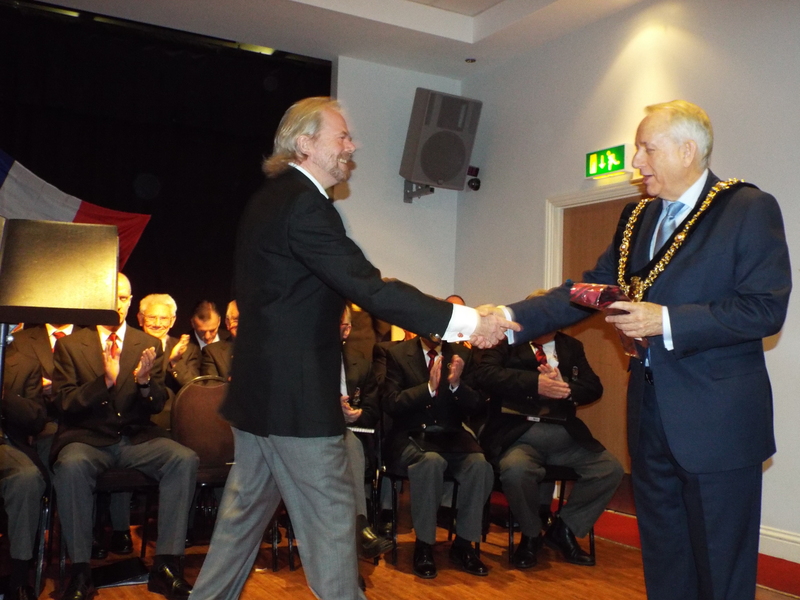 One of our long serving members, David Davies, conducted the choir as the musical director was unable to attend the event. 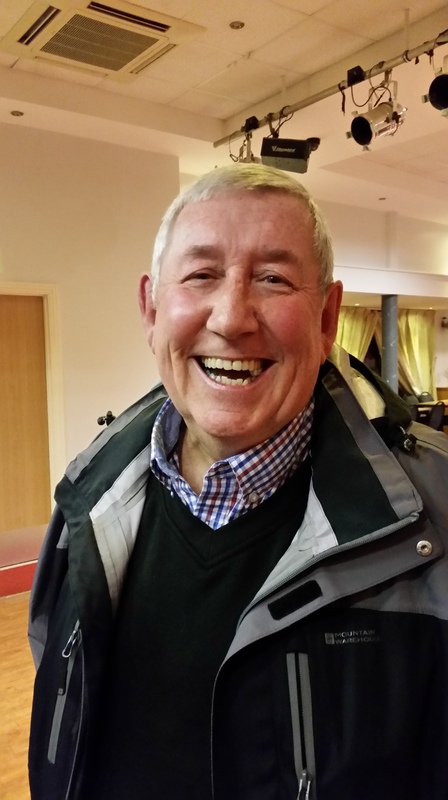 Many have reported that he not only conducted the choir with passion and enthusiasm, but conducted the guests too – getting them singing along with Welsh and Irish favourites. Big thanks to David and all the choir! If you’d like to come along to our open evening and want more information, why not email us. As always the Christmas season is our busiest! Our Annual Gala concert sold out once again. 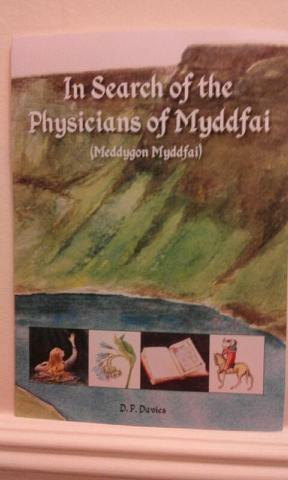 We were very pleased to invite Dafydd Chapman to perform for us. 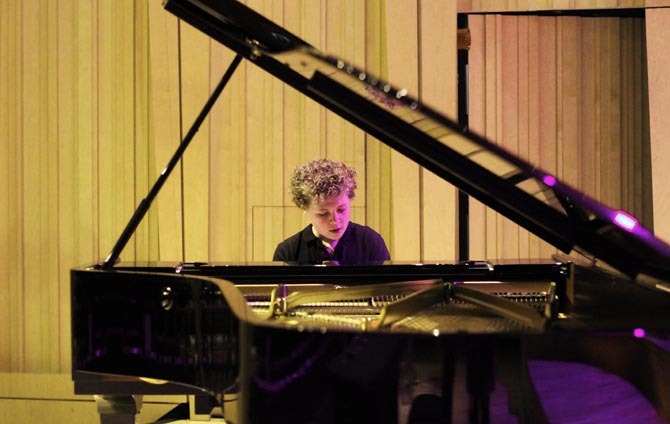 As always, Dafydd amazed us with his phenomenal talents! Cardiff Male Choir performed many of their firm favourites including ‘Ar Hyd Y Nos’, ‘Gwahoddiad’ and ‘The 60s Medley’ as well as some of their newer additions to the repertoire; ‘Were You There’, ‘Yesterday’ and ‘Poor Little Jesus’. The Choir also premiered their latest addition to the repertoire, the Beach Boys’ ‘God Only Knows’. As a registered charity, the choir feel it’s important to support as many local causes and charities as they can, offering their services free of charge. 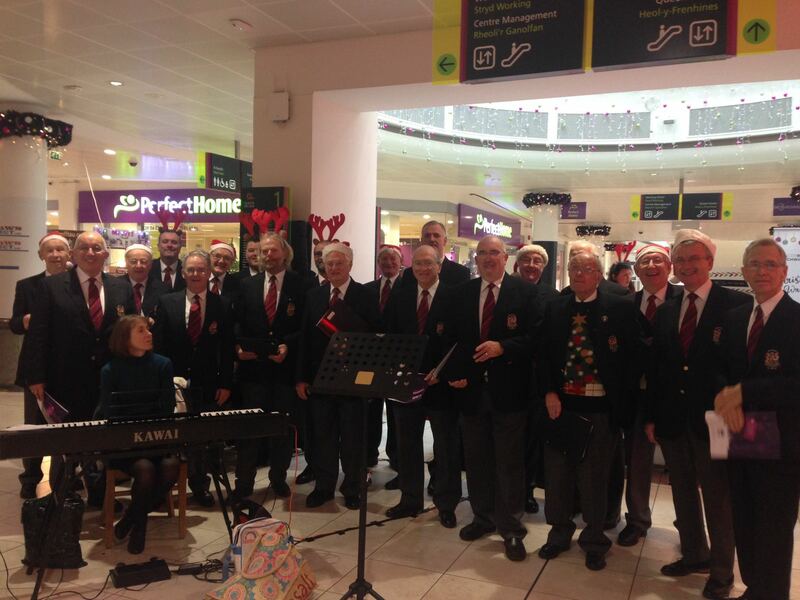 We were privileged to support Velindre Cancer Centre and Cancer Research Wales by singing at Marks and Spencer, Culverhouse Cross and at the gift wrapping station in Queen’s Arcade. Please follow the links to find out more about how you can support these fantastic charities. We are sorry to announce that our annual concert is sold out. Thank you so much for your continued support and we hope to see you there! If you’ve missed out on tickets, then please check out our events page to see what other concerts are coming up in the next year. Friday the 25th of November, Whitchurch Sports and Social Club, 7:30pm. 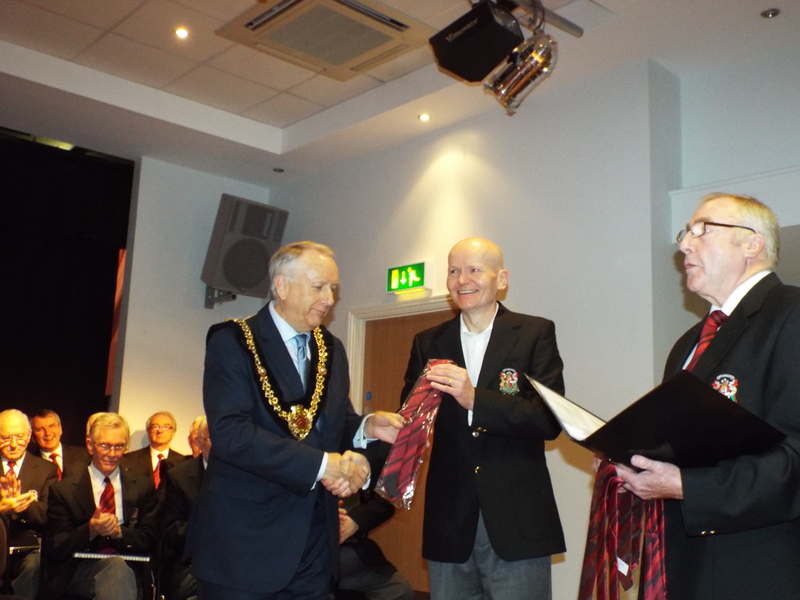 Cardiff Male Choir would like to extend a huge thank you to their friends from Royal Leamington Spa. Our joint summer concert was a huge success and both choirs enjoyed an evening of wonderful male voice singing. 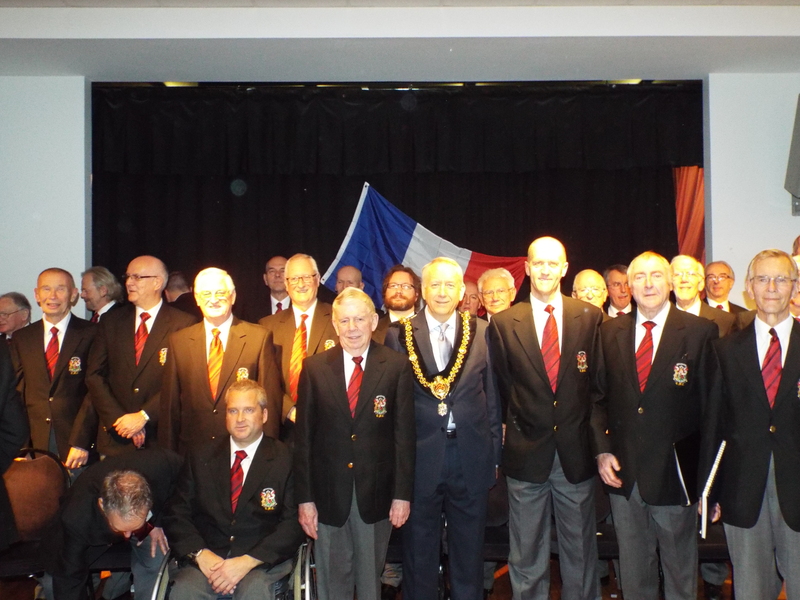 The Royal Naval Association Choir entertained us with naval related repertoire including ‘The Song of the Jolly Roger’ and the Rod Stewart track ‘Sailing’. They also performed some of their latest additions to their repertoire including the infectious ‘Gospel Train’. Cardiff Male Choir also premiered a new spiritual item, ‘Poor Little Jesus’. Both choirs joined together to perform an arrangement of the Paul McCartney track ‘Yesterday’ as well as a specially arranged spiritual for the concert ‘Were You There?’. We would like to thank everyone who made this joint concert possible; the choir and committee of the Royal Naval Association Male Voice Choir, the choir and committee of Cardiff Male Choir, St Teilo’s Church (especially Helga and Ray), and all of those wonderful ladies and gentlemen who helped bake cakes and serve tea and coffee during the interval. Cardiff Male Choir are fully engaged this summer at a number of weddings. 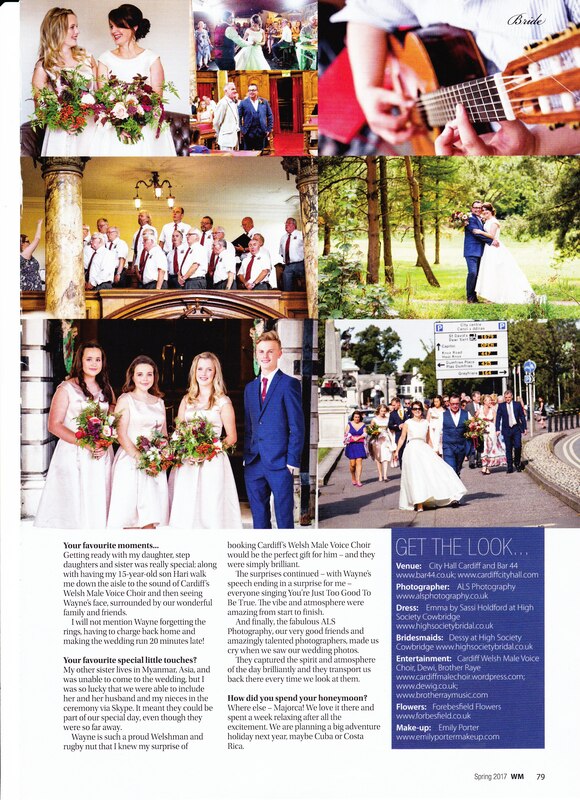 In May the choir performed at the wedding of Danielle and Alex at St Joseph’s Church, Penarth. Last Saturday, the choir had the privilege of performing at the wedding of Jonathan and Amy Callaghan. Jonathan’s father, John, is one of our finest 1st tenors and it was a real pleasure to perform for John and all of his family on this special day. Yesterday, the choir performed at the wedding of Harriet and Andrew at St Margaret’s church, Roath. The choir is now fully booked throughout July and August, but if you would like the choir to perform at your wedding, then why not drop us an email? Stephen Height and Emma Laidlaw-Height have been conducting Male Voice Choirs for over 5 years, and this summer their two choirs will be performing in Cardiff. 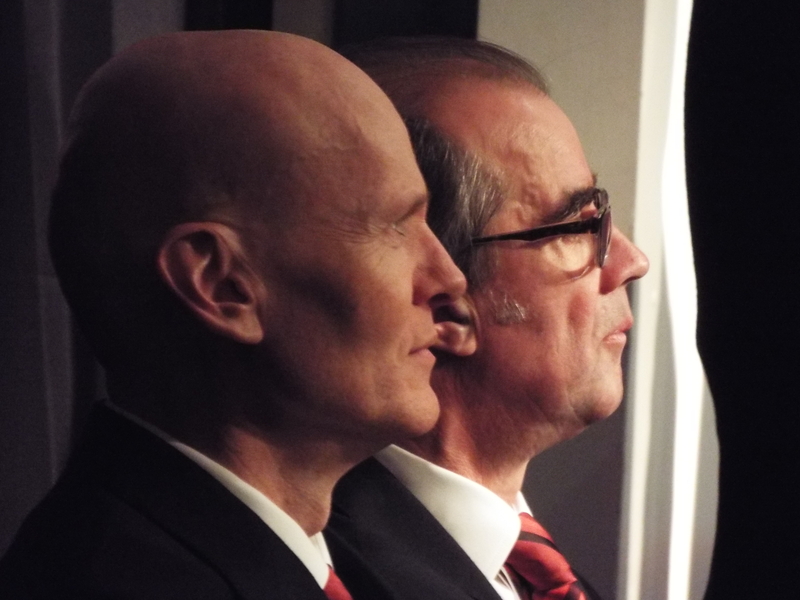 To have both a brother and sister conducting male voice choirs is unusual, and the choirs have joined together in the past. In March 2012, Cardiff Male Choir travelled to Leamington to help fundraise for the Radford Road Methodist Church organ fund. Not only did the sell out event help to secure the recovery of the organ, the Welsh team were thrilled as Wales secured the Six Nations Grand Slam earlier in the day! 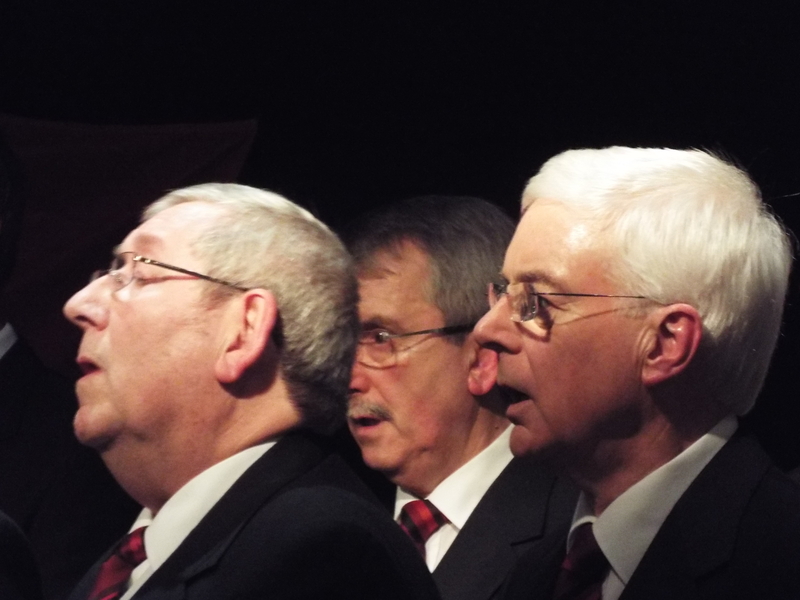 Now RNA MVC are joining CMC in Wales to perform at St Teilo’s Church, Whitchurch, Cardiff. Join us for an evening of Welsh hymns, popular classics and spirituals. Tickets are available on the door, but it is highly recommended that you book your tickets in advance (due to our sell out Christmas concert). St Faith’s Church are hosting an afternoon extravaganza to celebrate Her Majesty’s 90th birthday! Come along and join us for tea, cake and a sing song! Tickets are £10, available from 02920 620838. Judgement Day is an annual Welsh Rugby Union event that takes place at the Principality Stadium in Cardiff and is part of the Pro12 competition. The four regions – Cardiff Blues, Newport Gwent Dragons, Ospreys and Scarlets – join with the Welsh Rugby Union in organising a double-header fixture at the Millennium Stadium. 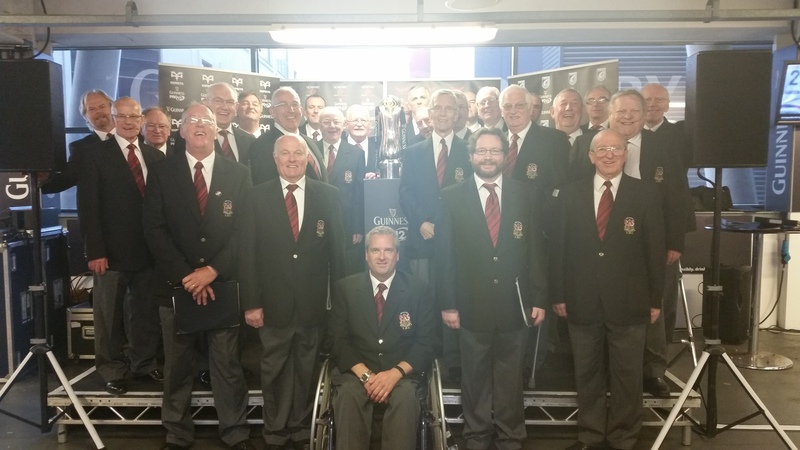 Cardiff Male Choir were invited to sing as part of the ‘Guinness Fan Zone’, both at the warm up event at Whitchurch Rugby Club on Tuesday the 26th of April, and at the Stadium itself on the day – Saturday 30th of March. The choir enjoyed a photo with Tom Shanklin, as well as singing whilst Wales’s Captain Sam Warbuton waited in the wings at the warm up event. 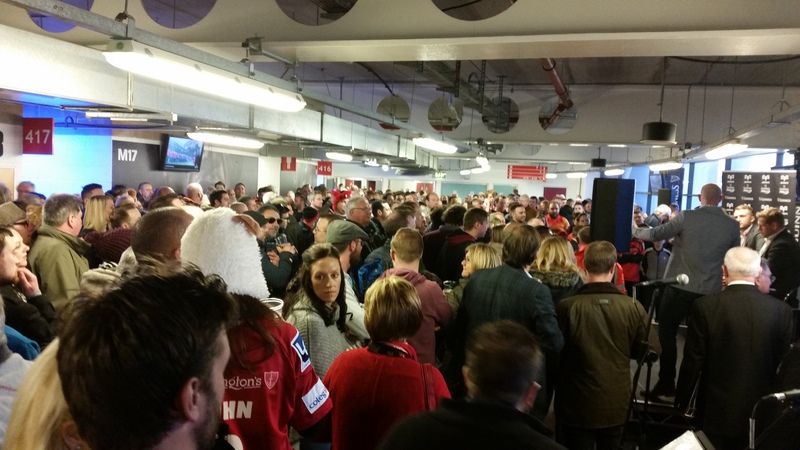 Crowds of fans joined the choir in choruses of ‘Delilah’, ‘Hymns and Arias’ and ‘Sospan Fach’. Although it was a little cold, the choir had great fun, singing and supporting the rugby. 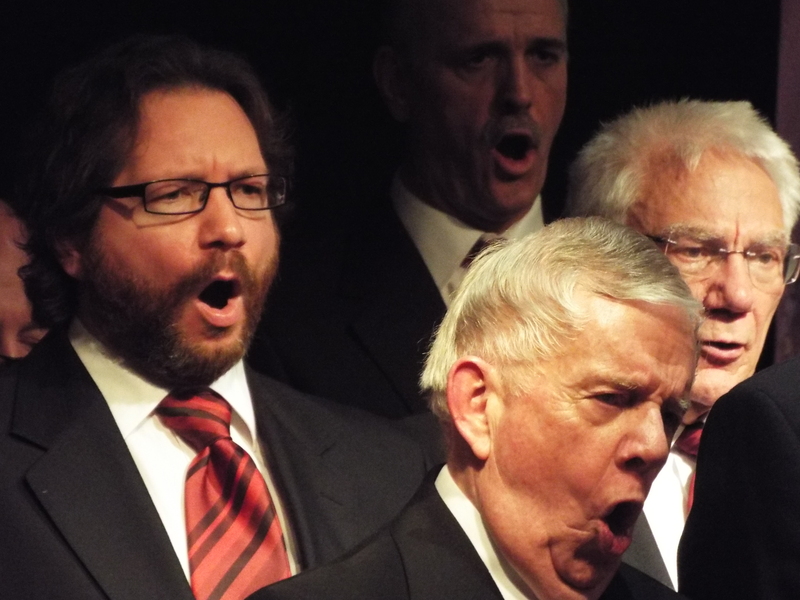 Cardiff Male Choir may be able to help you promote your event. Why not get in touch with us to find out? Email us here. Whether you have sung with a choir before, or are a novice -come and sing with us! Our evening aims to be a workshop session, so all members of the choir and prospective members will learn new music for the first time. Every member is on the same page, all learning something new together. If you’d like more information, the why not email us or drop us a line. We look forward to meeting some new members on April the 13th! If you would like to join the choir and are keen to start before April, then let us know and we will arrange for a chorister to meet you at the door. St David’s Day Celebration Choir Raises The Village Hall Roof! Turn out again was great! 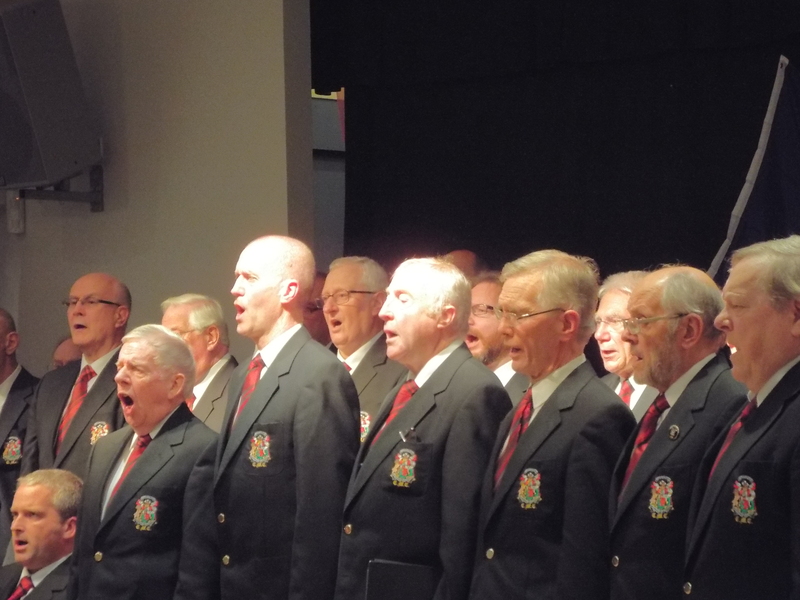 For the second year running, Graig and Penllyn welcomed the Cardiff Male Choir to its St David’s Day Celebration Event held in the village hall on Saturday 27th February. The aim of the event was again to give a village focus for recognizing St David’s Day – a tradition that should not be lost. It was also an opportunity for people to get together and enjoy an evening of traditional entertainment in our re-furbished Village Hall and to raise funds. The evening was made possible by the Penllyn & Craig Penllyn Village committee team who are always looking for a “helping hand” and for people to get involved. As with all fund-raising activities, the event was only made possible by the ever-needed support from residents and friends including those that gave generous donations. 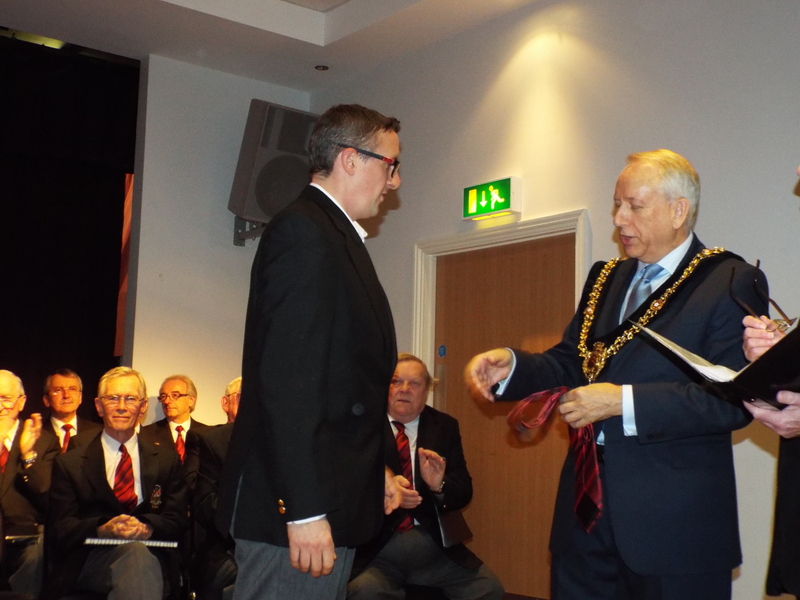 The biggest thanks for the evening goes to Cardiff Male Choir, who donated their time and effort free-of-charge. The hosts made sure they were given a very warm welcome. 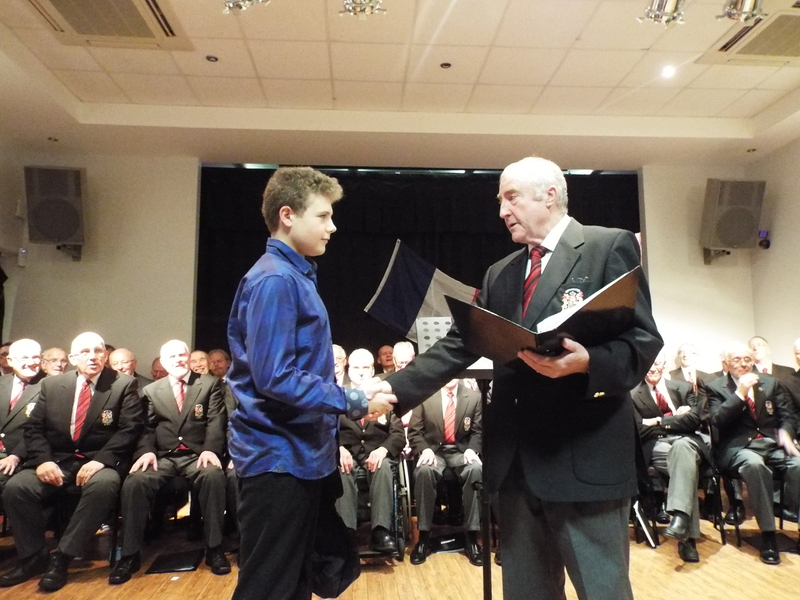 Founded in 1898, the Cardiff Male Choir is one of the oldest choirs in South Wales and was conducted by its Musical Director, Mrs Emma Laidlaw-Height. Emma explained how the choir support fund-raising activities and how they even make a point of visiting care homes during the early part of the year. 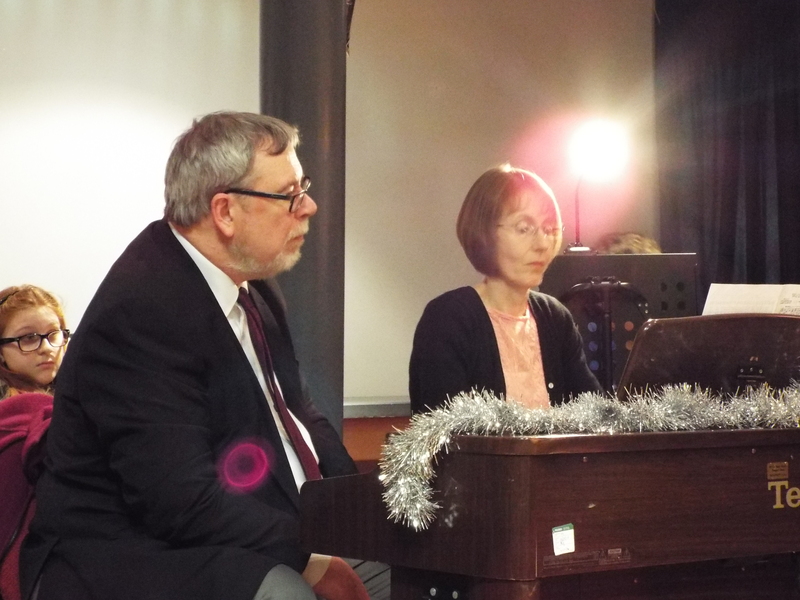 We were treated to a variety of songs, ranging from Welsh favorites and folk songs to ballads and 60’s memories. Their rendition of “Luck Be A Lady” – featured in the musical Guys and Dolls – set the scene for a superbly well-supported raffle. So the outcome of the evening was a great success, contributing to enhancing and maintaining our village amenities for all residents and visitors. Cardiff Male Choir have been busy over January and February visiting several care homes in the area. 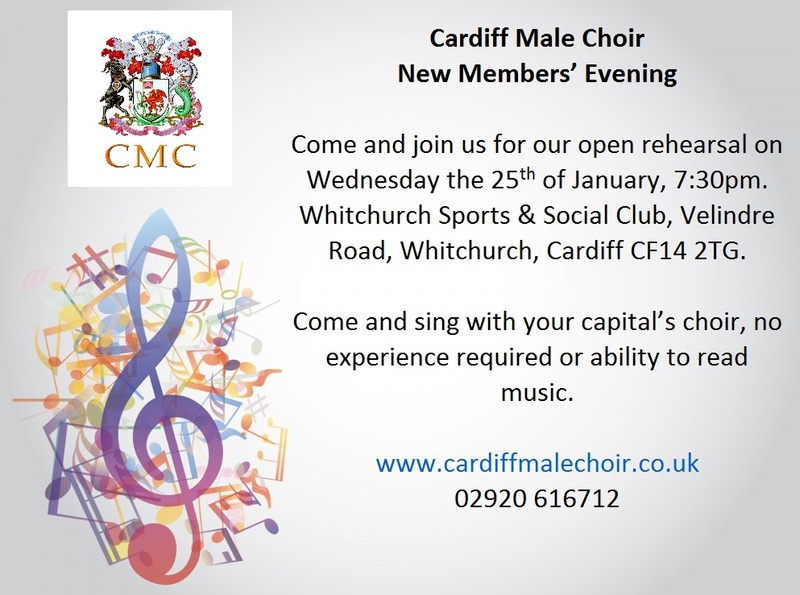 If you would like Cardiff Male Choir to come and entertain you, please give us a call. The choir have returned from a long Christmas holiday after a very busy Christmas season. Tickets sold out for the choir’s annual concert on the 27th of November as four new members performed at their first concert after being inaugurated by the Lord Mayor of Cardiff, Cllr David Walker. The choir then helped fundraise for the charity ‘Thomas’s Wish To Walk’ in the Capitol Centre in Cardiff. The choir have been helping to fundraise for Thomas over the last few years, and you can do your bit to by donating here. Donate to ‘Thomas’s Wish To Walk’. 2016 brings a number of new challenges and events. 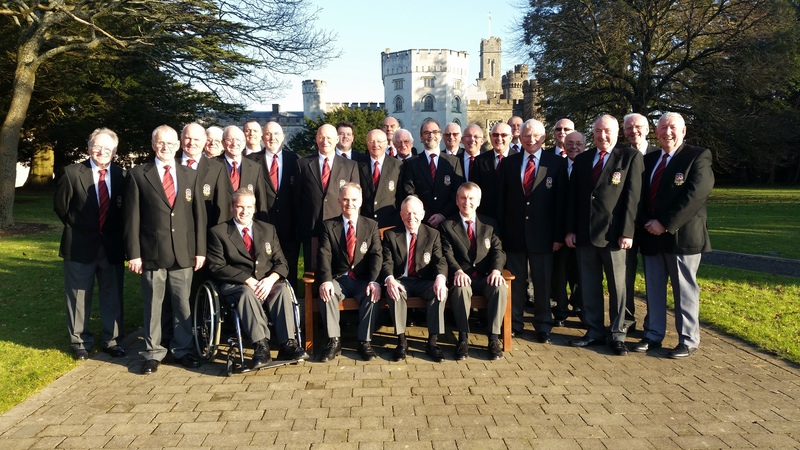 As well as learning some new music, the choir will reunite with The Leamington Royal Naval Association Male Voice Choir to perform a summer concert in Cardiff. Cardiff Male Choir visited Leamington Spa for a joint concert in March 2012 (on the day that Wales won the Grand Slam). A marvellous rugby game, and a smashing concert. We hope to repeat the feeling of camaraderie as two male voice choirs join together, conducted by brother and sister, Stephen Height and Emma Laidlaw-Height. The choir will also be hosting another open evening to invite new members. The date is currently being discussed, so please watch this space. If you are interested in joining the choir, then why not email us? 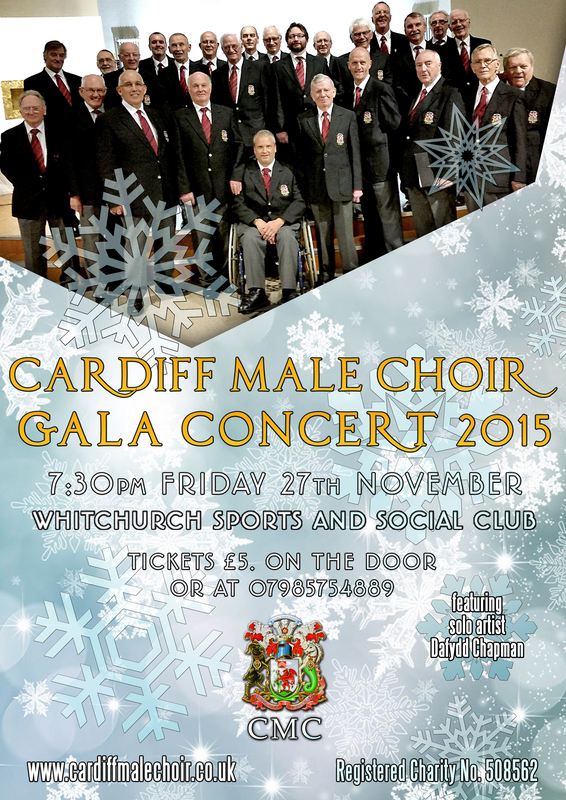 Our Annual Gala concert is being held at Whitchurch Sports and Social Club, Friday 27th of November 2015. 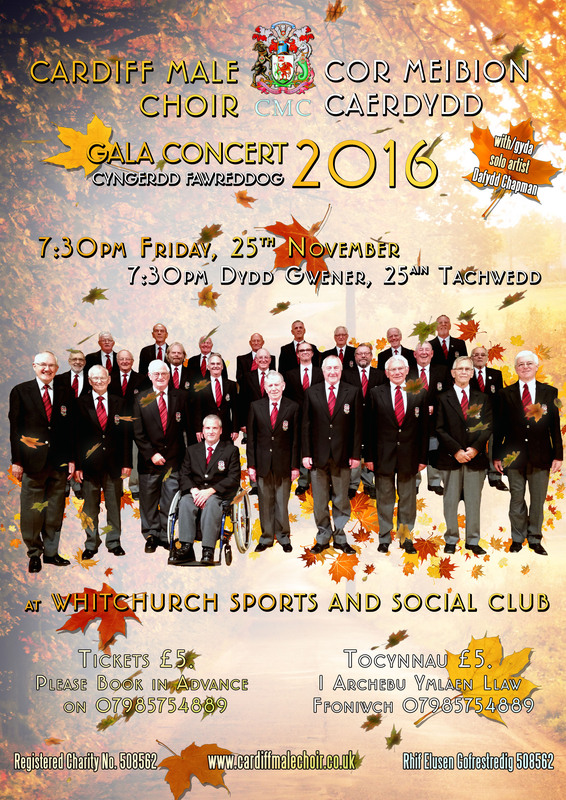 The choir will be performing some popular classics, Welsh traditional items and some new additions to our repertoire. 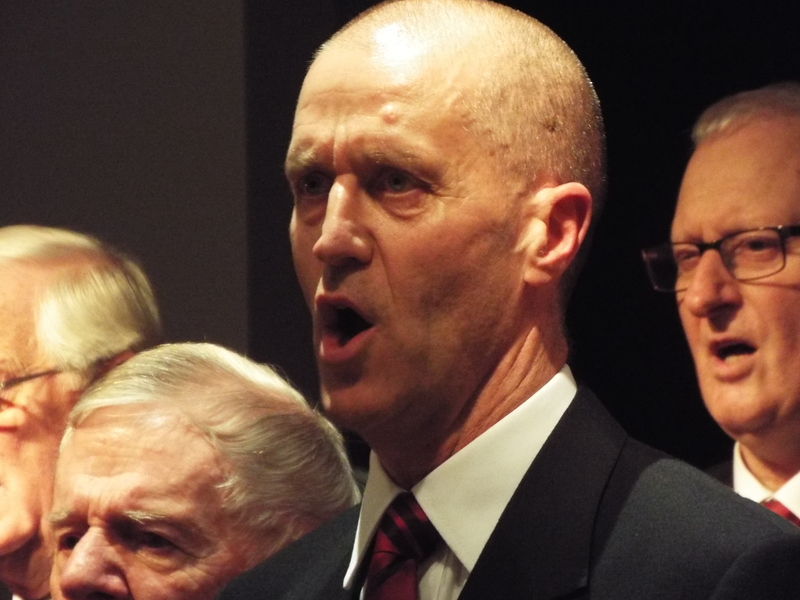 Early October saw the choir performing at their annual fundraising concert for the Scouts. 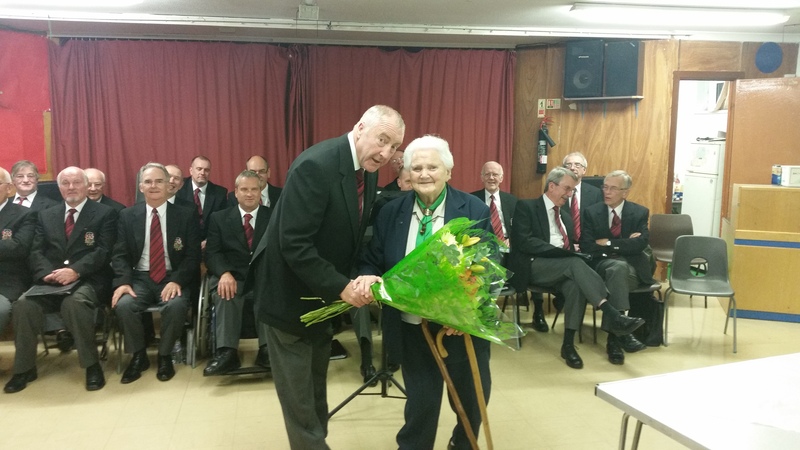 We celebrated the long service that Mary has contributed to the Scouts, presenting her with a special card and flowers. Mary has been volunteering with the Scouts for 40 years, and this year was presented with a Silver Acorn. Read the article below. Congratulations Mary!